MONDAY, Aug. 20, 2018 -- Treatment with lumpectomy and radiotherapy is associated with a reduction in breast cancer mortality versus lumpectomy or mastectomy alone among patients with ductal carcinoma in situ (DCIS), according to a study published online Aug. 10 in JAMA Network Open. Vasily Giannakeas, M.P.H., from the Women's College Research Institute in Toronto, and colleagues conducted a cohort study involving women who had first primary DCIS diagnosed between 1998 and 2014. Data came from the Surveillance, Epidemiology, and End Results 18 registries database. 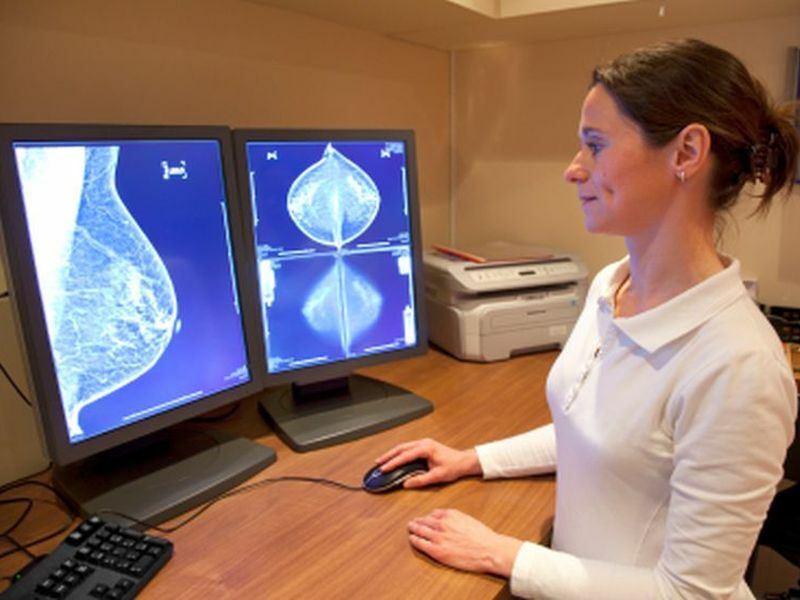 The risk of breast cancer mortality was compared for 140,366 women; using 1:1 matching, three comparisons were performed: lumpectomy with radiation versus lumpectomy alone; lumpectomy alone versus mastectomy; and lumpectomy with radiation versus mastectomy. Overall, 25.0 percent of patients were treated with lumpectomy alone, 46.5 percent with lumpectomy and radiotherapy, and 28.5 percent with mastectomy. The researchers found that the actuarial 15-year breast cancer mortality rates were 2.33, 1.74, and 2.26 percent for patients treated with lumpectomy alone, lumpectomy and radiation, and mastectomy, respectively. For death, the adjusted hazard ratios were 0.77 (95 percent confidence interval, 0.67 to 0.88) for lumpectomy and radiotherapy versus lumpectomy alone; 0.91 (95 percent confidence interval, 0.78 to 1.05) for mastectomy alone versus lumpectomy alone; and 0.75 (95 percent confidence interval, 0.65 to 0.87) for lumpectomy and radiotherapy versus mastectomy. "The survival benefit of radiation is likely not due to local control, but rather to systemic effects," the authors write.